Sitting down for most of the day can lead to health problems, but one new smart seat is hoping to change that and provide users with feedback on posture and help you stay more healthy. The Zami Life smart chair is fitted with a range of sensors that are capable of tracking your sitting time as well as the quality of your sitting, reporting its data back to a handy smartphone companion application. Zami Smart Stool is the result of years of research on ergonomics and is designed to improve posture and promote active sitting. 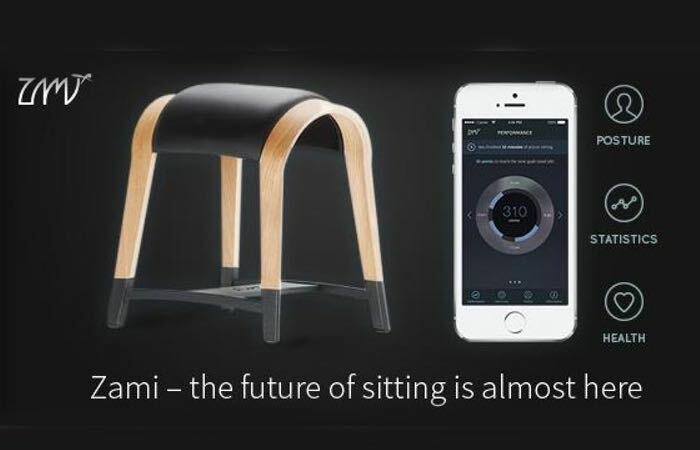 Made from the highest quality European sourced materials, this patented, double-convex form is the first sensor-enabled stool that gives you real-time feedback on your posture. For more information on the new Zami Life smart chair jump over to the Indiegogo website for details and to make a pledge from $199 via the link below.